NM EPSCoR graduate student Adriana Nieto was featured in the story's photograph (and the banner above), and NM EPSCoR student Carolyn Medin, pictured right, was interviewed for the paper. 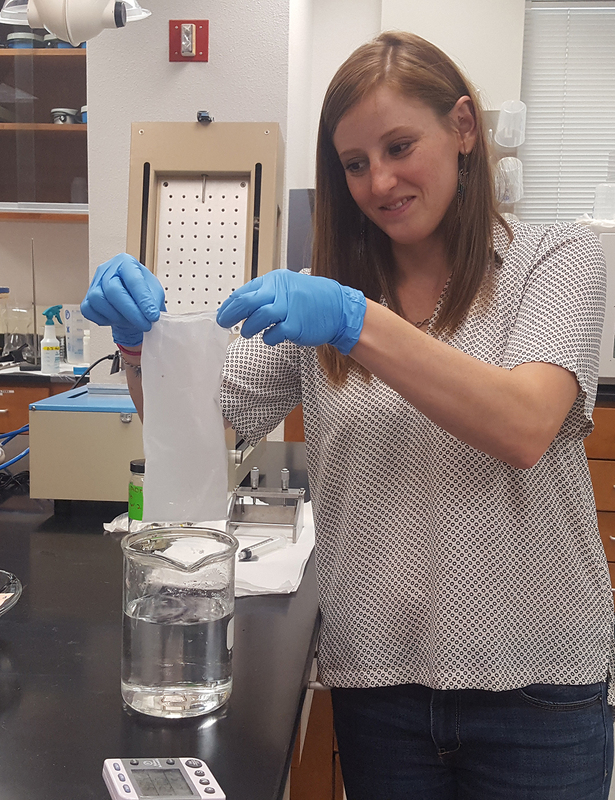 Carolyn Medin, graduate student in the Civil and Environmental Engineering Depart explained the process, which involves two steps. Dr. Huang was also interviewed for the stories. Read New Mexico Tech's news report here and the El Defensor Chieftain article here.